On Tuesday, my bestfriend and I went to a Christmas party. So of course, we had to bring something tasty to share with all of the party guests. We wanted to make something fun and out of the ordinary, but simple to make since we didn’t have a lot of time. I suggested Puppy Chow… but to my surprise, she had never heard of it and thought I was kidding about bring the dog’s food with us. I had the pleasure and honor of introducing her to Puppy Chow aka Muddy Buddies. The recipe we used was found at Sally’s Baking Addiction and turned out as beautiful and delicious as promised. It was a happy, sugar-filled day. 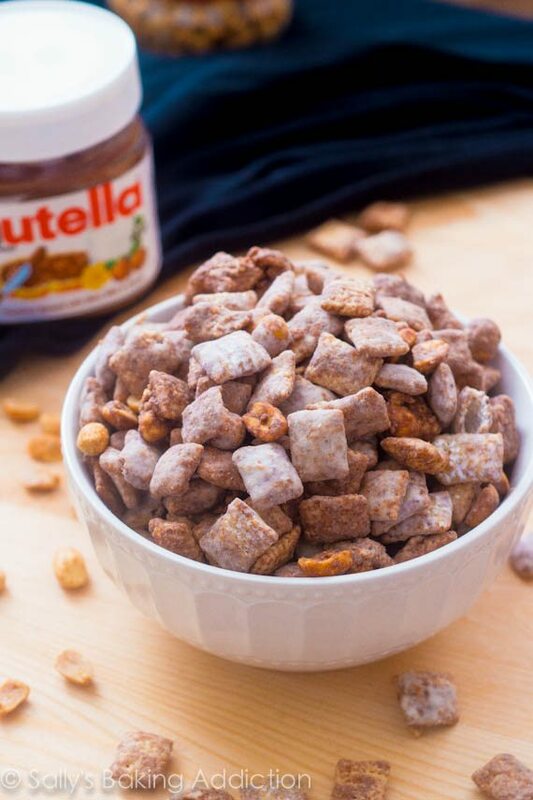 This entry was posted in Other Treats & Drinks, Reality and tagged chex, nutella, peanuts, puppychow. Bookmark the permalink.